Our French house is in the Aude. Aude is one of the windiest regions in France. Some say the windiest. We didn’t know this at the time we bought our house. Maybe all the windmills should have given us a clue! If we had known about the winds would we have changed our minds? I don’t think so. Depending on what you read, you will be told that the Aude has about 300 days of wind a year. This is because the region is affected by an amazing variety of winds from all points of the compass. Winds, in France, are given names. The most famous one is the Mistral. This particular wind doesn’t affect us, it is more prevalent in Provence. The Marin is another prevailing wind which blows from the south-east and the Mediterranean. The clue is in the name. It brings damp and wet conditions. My research has led me to discover another wind called the Cers. It is dry and cold in the winter but hot and dry in the summer. It is created by the cool, damp air of the Atlantic being forced down from Toulouse as it heads for the sea. I could be wrong but having typed this, it’s sounding remarkably like the Tramontane… Maybe someone will enlighten me! The Sirocco – the wind, not the car – blows from the south and brings hot, dry and dusty air from Africa. This wind can leave a fine layer of sand in its wake. This has been carried from the Sahara. The impact of the winds is evident in our local town. Castelnaudary once had numerous windmills. In the seventeenth century there were 32 windmills in the town. After the Canal du Midi was constructed there was a growth in the number of flour mills. 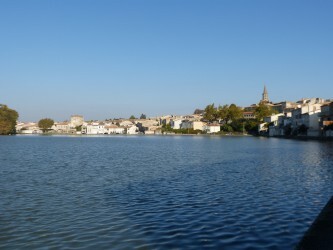 Castelnaudary, being the main port between Toulouse and Sete, exported wheat and flour. One can still see evidence of this as one walks around the town. The most ‘famous’ windmill is ‘Le moulin du Caugerel which has been fully restored. You can see others that have fallen into disrepair. Or have been converted into homes. Aude is now an important centre for wind produced energy using wind turbines. I’ve got used to the wind – mostly. It’s useful when you want to dry clothes quickly and can help to fan the air when it’s blistering hot. 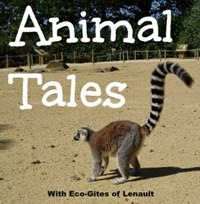 Rumour has it that the wind can affect people and animals in many strange ways, similar to the impact of the moon. This may or may not be the case but as a former teacher, I do remember our pupils would always be very excitable, noisy and jumpy on a windy day! A bit like horses, really. At least here in Carcassonne, which is closer to the Mediterranean, if it’s marin and you see the Pyrénées, you will get rain within three days. Just a few kilometers to the east of us, the climate changes again, to even more Mediterranean. Amazing. 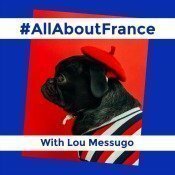 A friend who moved here from just southwest of Toulouse says the wind drives her crazy. So much change in such little distance. I have witnessed more than one argument about tramontane and Cers being the same thing. Today is very windy. Crazy windy. I’m still surprised at how localised the weather is and how quickly it can change. Never a dull moment! I love the fact that the winds have names but apart from Mistral hadn’t heard of others, but certainly I have heard of mood changes in people during the different phases of the moon, and I’ve been aware that impending thunderstorms make me feel restless. I’d no idea that the wind had its effect too. What an interesting subject for study! It is interesting how we are so affected by the different aspects of the weather. I know I feel much happier when it’s sunny. It doesn’t have to be hot. For me it’s all about the light. I love walking along a beach when it’s windy and I end up with a lovely glow. Or possibly a weather beaten look! I love this old traditional windmill. In Finland, we have them also. Thank you and you !